Determine how much your fine art collection is worth in today's market. Rely on our fine art appraisers in Prospect Heights, Illinois, for accurate information about the true value of your collection. Fine Art Appraisals is a trustworthy group of fine art appraisers dedicated to providing you with art appraisals you can use to make a decision about selling, insuring, or widening your art collection. Contact us today to speak with any of our fine art appraisers about valuating your collection of artwork. I'm a certified art appraiser who has been helping owners of 19th century to 21st century artwork know the true value of their collection since 2002. Whether you own prints, paintings, sculptures, art glass, or a combination of all of these mediums, I can use my 17 years of experience to put a certified value on your prized art collection. 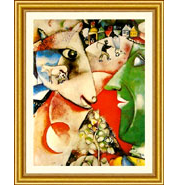 E-mail our fine art appraisers or call us today at 847-259-3412 for truthful appraisals of your art collection.